Dancing with the Stars pros Val Chmerkovskiy and Jenna Johnson are officially a married couple. Dancing with the Stars pros Val Chmerkovskiy and Jenna Johnson admit cutting down the guest list for their wedding has been tough but plans are really starting to come together! Bachelor in Paradise will premiere a little bit earlier than usual this summer. Hannah Godwin left Colton Underwood's season of The Bachelor with a deflated spirit, but she might just get her groove back -- and rap a little, too -- on Bachelor in Paradise this summer. 'Dancing with the Stars' pro Jenna Johnson celebrates her bachelorette party in Las Vegas! Dancing with the Stars pro Jenna Johnson has just celebrated her bachelorette party in a big way. 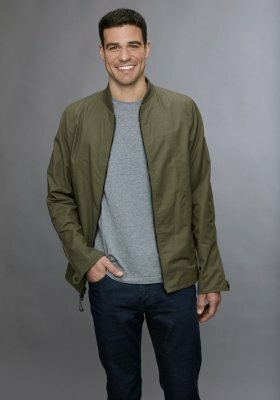 Bachelor in Paradise will definitely be back with a new crop of bachelors and bachelorettes looking for love this year! 'Dancing with the Stars' semifinals ousts Juan Pablo Di Pace in shocking cut, Joe Amabile also cut! Dancing with the Stars featured a shocking double elimination heading into the Season 27 finals during Monday night's performance show on ABC. Fuller House actor Juan Pablo Di Pace and Bachelor in Paradise bachelor Joe Amabile were eliminated along with their professional partners from Dancing with the Stars on Monday night. 'Dancing with the Stars' pro Jenna Johnson on Joe Amabile: I can't believe we made the semifinals, I didn't expect it! Dancing with the Stars couple Joe Amabile and Jenna Johnson have made it to the semifinals of Season 27, and to put it bluntly, Jenna is shocked. Dancing with the Stars featured a double elimination on "Country Night" during Monday's Season 27 performance show on ABC.